Tropez Phase II (Bora Residences – Tower A), Don’t miss again! Freehold Mix integrated development with Residences, Mega Retails Mall, Convention Center & Hotels. Bora Residences is an ambitious and exciting development located at Danga Bay, Johor, on a freehold land which spans over 37 acres. Bora Residences offers a holistic blend of upscale lifestyle properties, exclusive office and commercial blocks and a destination shopping mall with a proposed luxurious hotel and convention centre. The shopping mall with approx 1 million sq ft of net lettable area, is designed in partnership with Jerde, a visionary architecture and urban planning firm based in Los Angeles, the mall will have features such as sidewalk cafes, chill-out stations, boardwark, canal garden and event plaza.This integrated community is enhanced by a network of well-shaded skybridges and links, interwoven to activate the streetscapes and spur walking for healthy living. Bora Residences is linked via Johor – Singapore Causeway Link which connects Johor Bahru City Centre within 10 minutes. The New Coastal Highway, on the other hand, connects this residence to Iskandar Zone B (Nusajaya), as well as it takes only 20 minutes to reach the Second Tuas Link which connects Malaysia to our neighbouring country, Singapore. This residence is also linked via North – South Highway which connects to other states in Malaysia. 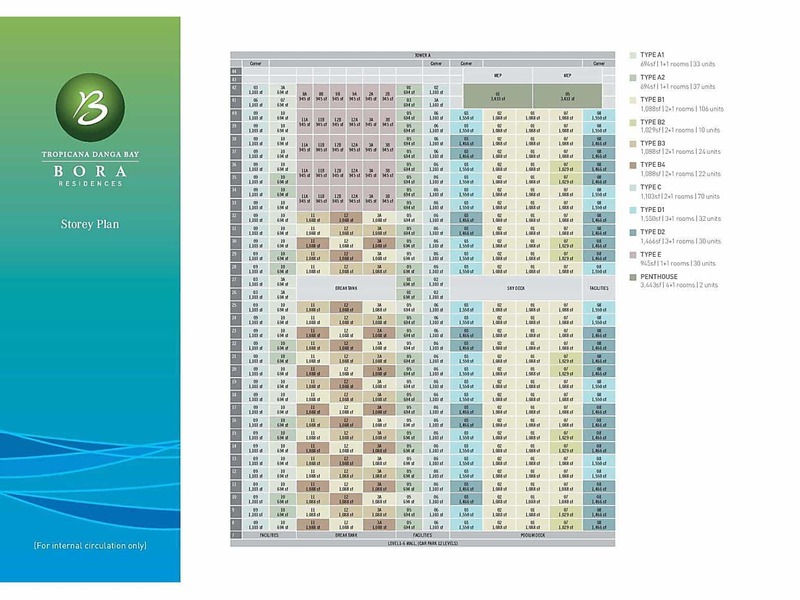 In terms of amenities, Bora Residences is surrounded by Senai International Airport, Starhill Golf and Country Club, Austin Hill Country Club, University Technology Malaysia, Pulai Spring Resort, Malbrough College, Legoland Malaysia, Nusajaya Centre, Port of Tanjung Pelepas, Hello Kitty Town, Pinewood Studio, Educity and Afiat Healthpark. Besides local developers, Chinese and Singaporean developers are also undertaking projects in the region, including the Country Garden. These have brought many changes to Johor’s property landscape, signalling market confidence and potential growth prospects. Bora Residences at Tropicana Danga Bay is the phase 2 of the massive Tropicana Danga Bay development in the vicinity of Danga Bay, Johor. The phase 1 of this development is named as Tropez Residences, which launched in December 2011. Tropez Residences was snapped-up in no time with 45% foreigners from Singapore, Japan, Korea, China, Indonesia, the United Kingdom and the United States. Bora Residences was launched recently and this development is expected to be completed in the year 2018. A total of two 42 storey towers are available in this project which offers a total of 396 units. Over twenty years ago, Dijaya Corporation Berhad, as we were known previously, took the property market in Malaysia by storm. We were the first to introduce resort-style living into residential property developments under the name Tropicana, which has since become the benchmark for the category. Many of our subsequent developments proudly carried the Tropicana brand in their names, and the Tropicana DNA in their concepts. Today, with more than 2,000 acres of land, and growing; a GDV of RM70 billion; and with projected sales exceeding RM2 billion in the current financial year, all built on the Tropicana brand, Tropicana Corporation Berhad IS now, rightfully, our name. As Tropicana Corporation Berhad, we will continue to focus on cutting-edge concepts for our ever-growing portfolio of residential, office and retail developments. We’re expanding our horizons to include property investment, management, land trading, hospitality and education. And, you can be sure that we will be changing the game, in everything we undertake. As the biggest land bank owner of Iskandar Flagship A, the vision of Iskandar Waterfront Holdings Sdn Bhd (IWH) is to create an international waterfront destination. Essentially, this will entail, among others, the building of an exciting and vibrant JB waterfront for public enjoyment, dotted with iconic buildings, shopping malls, tourist attractions and public parks. The development will comprise 3 key areas of Johor Bahru; namely Danga Bay, the JB-City Centre and the Tebrau Coast. The site stretches along a 25km scenic waterfront facing the Straits of Johor and covers a total landbank of about 3,000-acres. From the Johor-Singapore causeway, this landbank covers the waterfront of the East, Centre and West of the JB City centre. IWH will endeavor to merge the lifestyle, working and shopping components of the project into a single urban neighbourhood with tourist, leisure and heritage/cultural attractions to create a new sense of place and identity. Public amenities such as parks, marina, museum, sports and recreation centers will also be built progressively over the next few years. With signature major projects being developed and in various stages of implementation, IWH is positioning itself as a master developer of waterfront properties in the southern region of Malaysia. 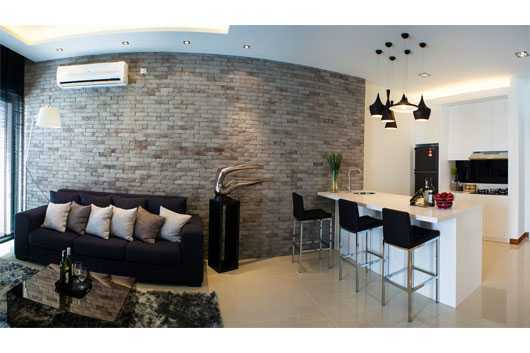 Why Bora Residences @Tropicana Danga Bay, Johor? Mixed development with condos, service apartment and retails outlets. 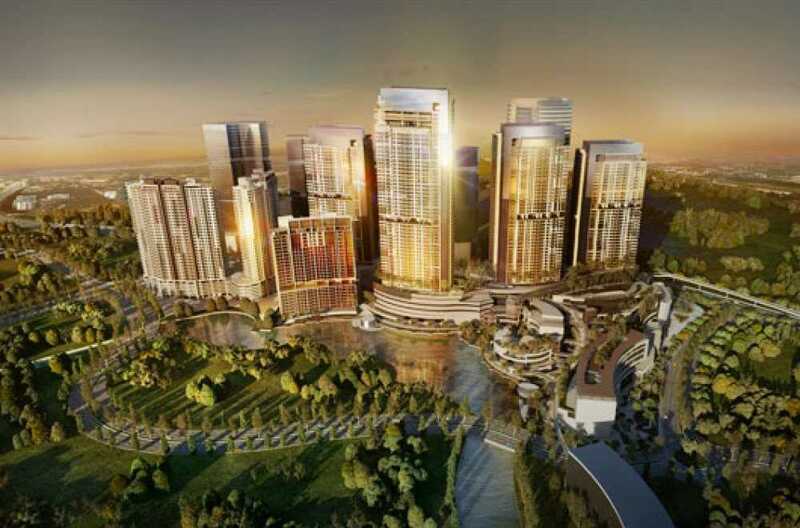 Developed by Reputable Developer Joint-Venture with IWH (Iskandar Waterfront Holdings), the Master Developer of Iskandar Zone A.
Bora Residences at Tropicana Danga Bay sits on a prime land within the Zone A of Iskandar Malaysia, better known as the JB city centre. It is only a mere 10-minute drive to the Johor-singapore Causeway link. This integrated master plan development is also easily connected to Nusajaya, Zone B of Iskandar Malaysia via the new coastal high way. It takes only 15 minutes to reach this development region and most importantly, 20 minutes to the Second Link (Tuas-Singapore). Bora Residence at Tropicana Danga Bay is close proximity to the North- South Expressway makes it easily accessible to other part of Johor as well as the rest of Malaysia. The development is also strategically located near the proposed High Speed Rail system amd Rapid Transit System, which, once completed, will form another excellent linkage between JB and Singapore. Bora Residences comes with facilities such as covered parking, swimming pool, wading pool, gymnasium, multi-purpose hall, children’s playground, tennis court, squash court , half-size basketball court, sky lounges and 24-hour security. g) Sky lounge and garden Village Etc. A total of five layouts are offered in Bora Residences. 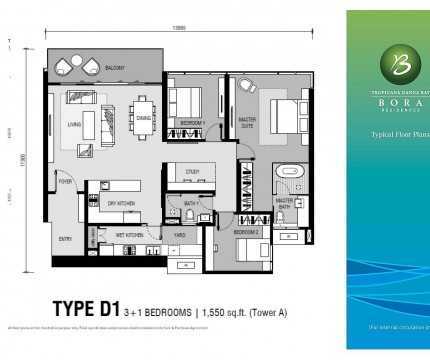 Type A has 694 sf built-up and has 1+1 bedrooms; Type B has 1,088 sf built-up with 2+1 bedrooms; Type C has 1,550 sf built-up with 3+1 bedrooms; Type D is a duplex unit with 945 sf built-up; Type E is a penthouse with 3,443 sf built-up. 1+1 bedrooms With Balcony Type A1 33 694 sq. ft.
1+1 bedrooms Type A2 37 694 sq. ft.
2+1 bedrooms With Balcony & Master Bedroom with Bay Window Type B3 24 1,088 sq. ft.
2+1 bedrooms With Balcony & Bedroom 1 with Bay Window Type B4 22 1,088 sq. ft.
4+1 bedrooms With Private Pool Penthouse 2 3,443 sq. ft.